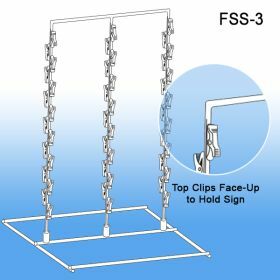 Minimum quantity for "3 Wand, Free Standing Metal Clip Strip® Snack Rack, 42 Hooks, FSS-3" is 1. 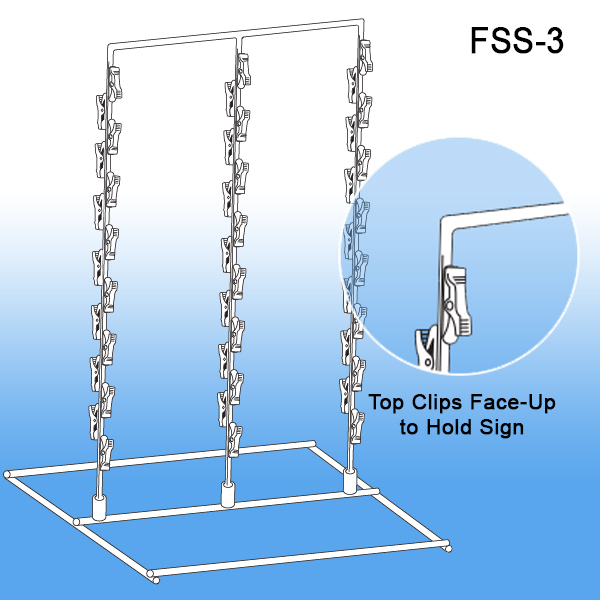 3 Wands, 42 Hooks, 24 ½"H x 13 ½"W, Base 15" x 9"
Clip Strip® is a Brand Name. We Invented the Clip Strip® Merchandiser! 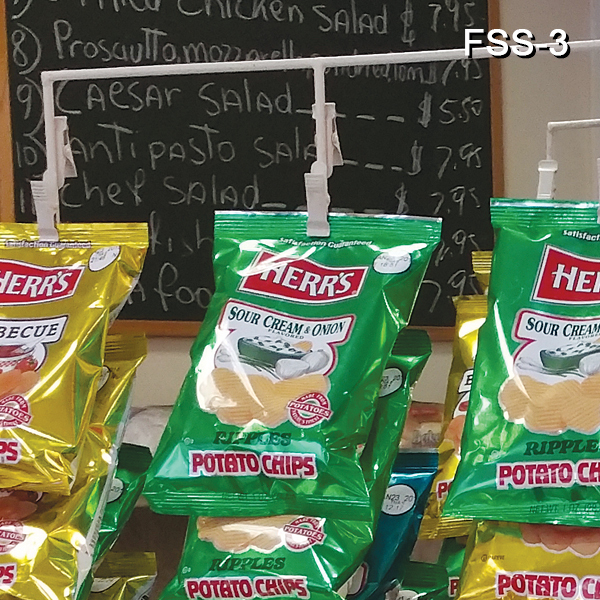 Free Standing Snack Racks by Clip Strip Corp. are another evolution of our founder's invention, the original merchandisng strip. Very popular for countertop merchandising of chips, snacks and other individual packaged items. 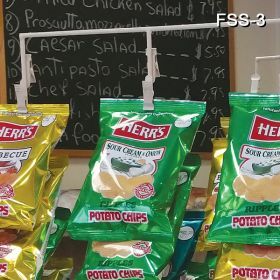 These point of purchase displays move product out the door at supermarkets, deli's, convienence stores and gas station marts across the globe.